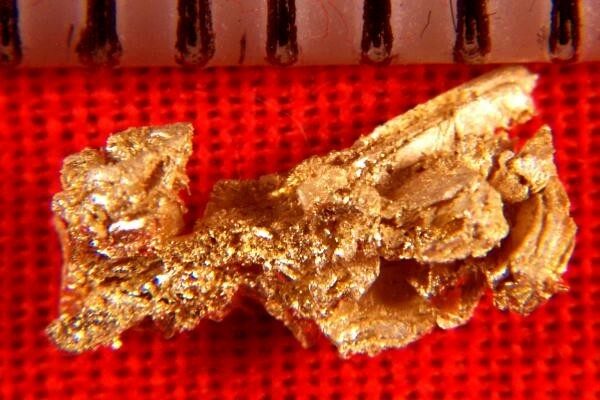 This gold specimen has intricate gold crystals that form this amazing gold nugget specimen from Round Mountain in Nevada. This one is 5/16" (8 mm) long and the weight is 4.8 Grains (0.31 Gram). 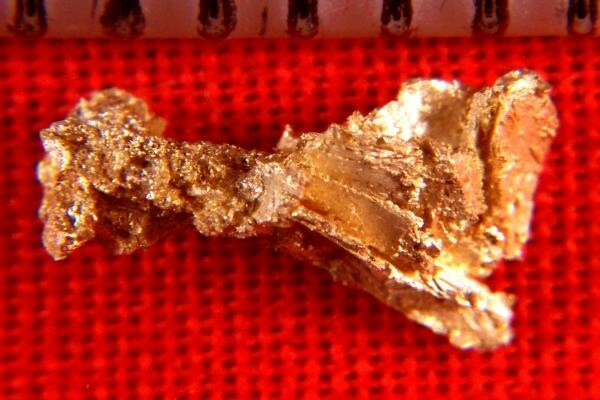 This gold specimen has beautiful color and it comes in a plastic gem jar for protection and display.